Mathias Edgar Richards was born in New Hanover township, Montgomery County, Pennsylvania. He came from Pottstown, Pennsylvania, to attend college at Penn’s 9th Street campus and graduated as one of twenty members of the Class of 1851. 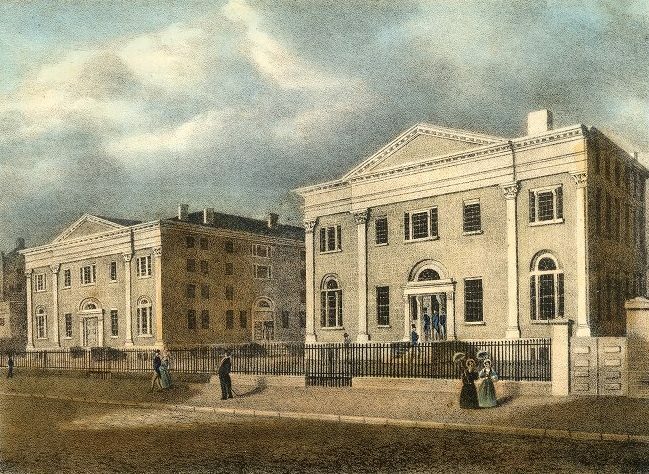 During his college years he was a member of the Zelosophic Society, a student organization founded in 1829 as a forum for essays, orations and debates. Richards’ speech “Improvements of the Age” was the last of twelve student orations listed in the 1851 commencement program. After graduation he became a lawyer in Pottsville. During the Civil War, Richards was a member the Army of the Potomac, serving first (in 1861) with the 25th Pennsylvania Regiment of U.S. Volunteers, then with the 96th Pennsylvania Regiment U.S. Volunteers, and finally, in 1864, as an assistant adjutant general on the staff of General Bartlett.